Silicon Valley investor Tim Draper is known for having crazy ideas – and for funding them. 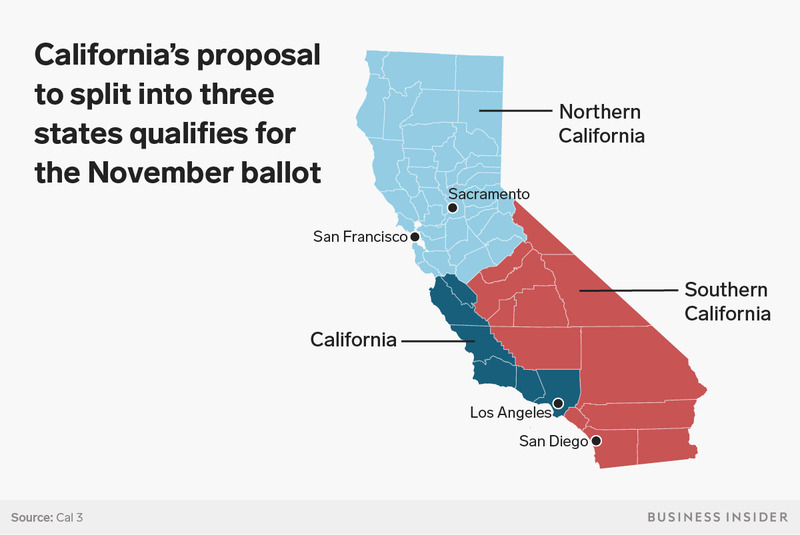 The tech billionaire has spent at least $US1.2 million to get Cal 3, an initiative that aims to split California into three states, on the ballot in November’s general election. A petition received more than 400,000 valid signatures. Here’s how Draper made Cal 3 happen. Perhaps what’s most interesting about a recent proposal to split California into three states is that the first page of the document is on Tim Draper’s stationery. The legendary Silicon Valley investor has bankrolled an effort to get Cal 3 – an initiative that aims to divide California into Northern California, California (new), and Southern California – to appear on the ballot in November’s general election. 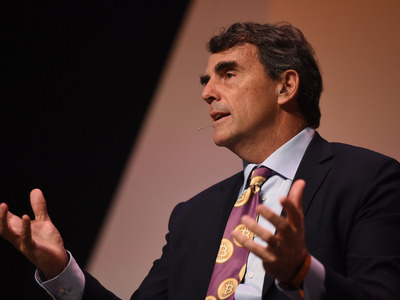 This is the third time that Draper, an early investor in Tesla, Skype, and Hotmail, has tried to slice and dice his home state. He’s given $US1.2 million to Citizens for Cal 3, the campaign supporting his quest. And the process of gathering signatures could have easily cost Draper an additional $US1 million, according to experts on California’s initiative process who spoke with Business Insider. How Draper made it this far isn’t all that dramatic. All a person needs to do in California to qualify a measure for the ballot is collect a certain number of signatures. Shaun Bowler, a political science professor at UC Riverside who’s studied California’s initiative process, says even the number of signatures required (about 365,000) doesn’t matter so much, because people “just hire signature-gatherers.” Campaigns pay petition management firms to deploy people outside public spaces like farmers markets and grocery stores and collect signatures from registered voters. “There’s a whole industry of people who will stand outside Target – we get them at our campus – and they will have a folding chair and one of those picnic tables. They will have petitions for 4, 5, 7, 8 of these proposals. For each signature they get on each petition, they get a couple of bucks,” Bowler told Business Insider. “There’s a consequence of that, because we have a lot of rich people in this state, we got a lot of people go, ‘Hey, I’ve got $US1 million burning a hole in my pocket. You know what I think should happen with the state? I think we should make Klingon the state language,'” Bowler said. 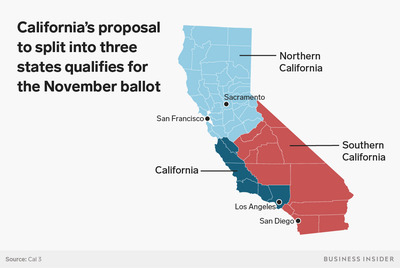 Experts who spoke with Business Insider told us that if -in an unexpected twist – a majority of California’s 38 million residents decide to break up the most populous US state, the measure is unlikely to make its way to Washington for congressional approval. Steven Maviglio, a political consultant who worked on a past campaign opposing the state’s breakup, said his new effort to defeat Cal 3 has received several calls already from wealthy people who want to fork over the money to challenge the measure’s legality. Maviglio said he gives Cal 3 a “zero” per cent chance of happening.